A close collaboration between our Marketing and 360bizmercado.com led to the first ever Google Business View of the Aruba islands. With this they, together with their clients, have literally put Aruba on the (Google Street View “See inside” Business) Google Maps. Google Street View “see Inside” Google Business View. Mermaid Dive Center Aruba as the first Dive business in Aruba to try the virtual tour. 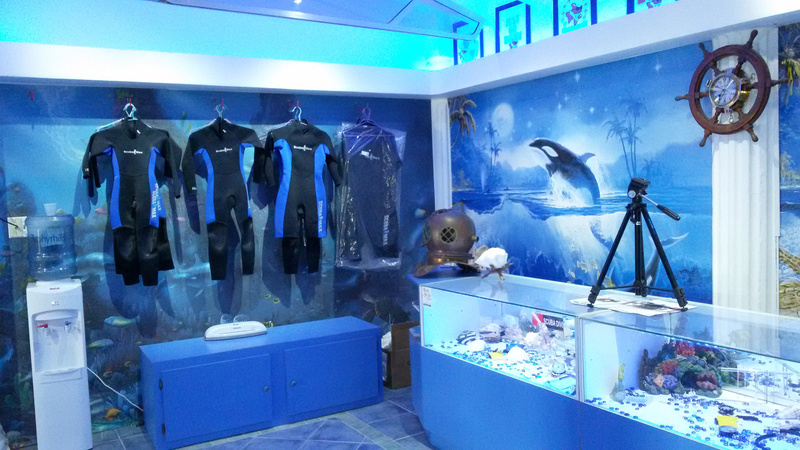 Mermaid Dive Center Aruba is the first company on Aruba islands that offers a virtual tour. Owner Carlos Hill believes it is important to keep abreast of the times and feels that this innovation perfectly suits his business vision. “It is modern and it gives people an open and transparent picture of our organization. We are proud of our company and gladly show it to others. How cool is it that this can now be done from anywhere in the world?”, thus Carlos Hill. Click here or on the image below to view the tour. The virtual tours of Mermaid Dive Centers and the mermaid Boat II also is available to take the virtual tour. ⟵Search for us on Google!